Hurricane Harvey is the first major hurricane (Category 3 or above) to make landfall since 2005. In just 4 days, many areas of Houston received over 40 inches of rain. The total rainfall, combined with high wind gusts, devastated many communities in Harvey’s path. Harvey took no exception to what it destroyed. Along with several thousand homes and businesses being impacted, several community parks and sports facilities were also severely damaged. From downed scoreboards and game lights, to completely destroyed dugouts, fences and infields, nothing was spared. To many, sports are an essential part of the community, as it provides a much needed outlet for community youth. It connects people, provides entertainment and a sense of community pride. More importantly, a child’s participation in sports is an essential part of their lives. Besides the benefit of physical activity and improvement to their health, sports help children develop both socially and emotionally. In many ways, sports not only helps contribute to the quality of life of the individual but also improves the quality of life of a community. 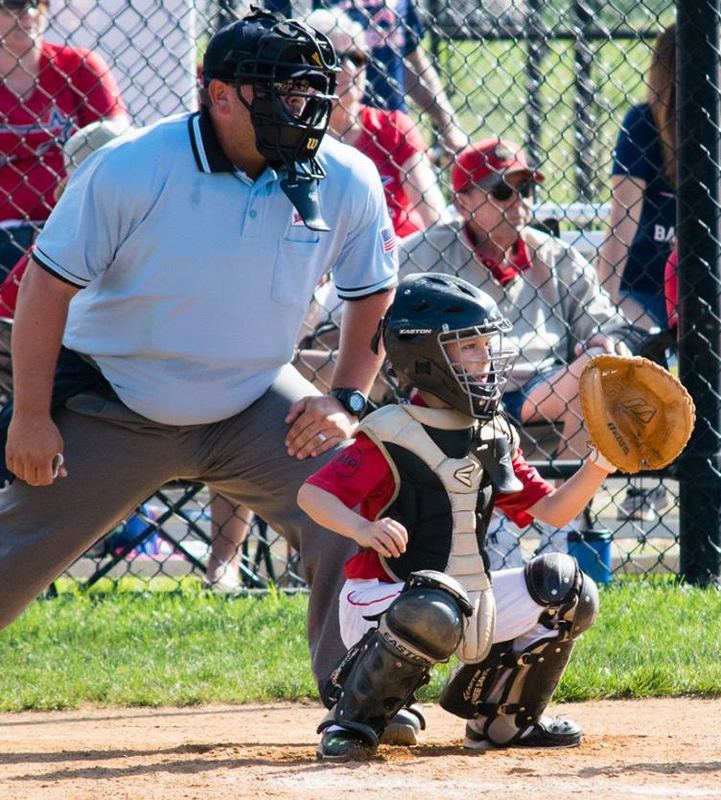 Because of this, the Stars Baseball - Loudoun 10U baseball team has started a fundraising effort to help rebuild the sports community in the Houston, Texas area. A YouCare.com campaign has been kicked off to collect donations online and the team itself will be going door to door collecting cash donations on Saturday, September 9, 2017 from 2-4PM. You can also contact the team directly and they will arrang for donation pickup. All proceeds will directly benefit Texas Little League - District 25, which was severely impacted by the devastation of Hurricane Harvey. Any amount you can donate is greatly appreciated and our boys appreciate all the support! 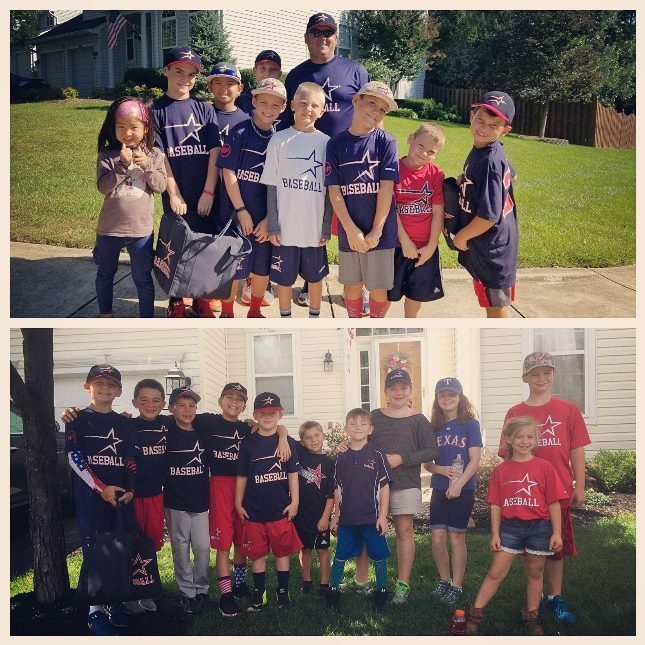 On Saturday, Sept 9th, these kids went door to door in a couple of Leesburg neighborhoods and collected nearly $800 for their Bring Back Houston's Field of Dreams fundraiser!! Combine that with the online campaign, they have now raised over $1,400. They are completely dedicated to this cause and did a great job talking to people about what it was they were doing. It is not often nowadays you see this kind of effort from a group of 6 - 11 yr old kids. It is not easy going up to a stranger and asking them to donate money. Their parents and their coaches are very proud of each and every one of them. This effort is not over yet and we are still collecting donations for our cause. Please contact us directly via the link above, or visit our YouCare.com donation page.